In a hurry for your decal? This purchase will get your package out the door to you in 1-2 business days. It will push your order to the top of the pile. 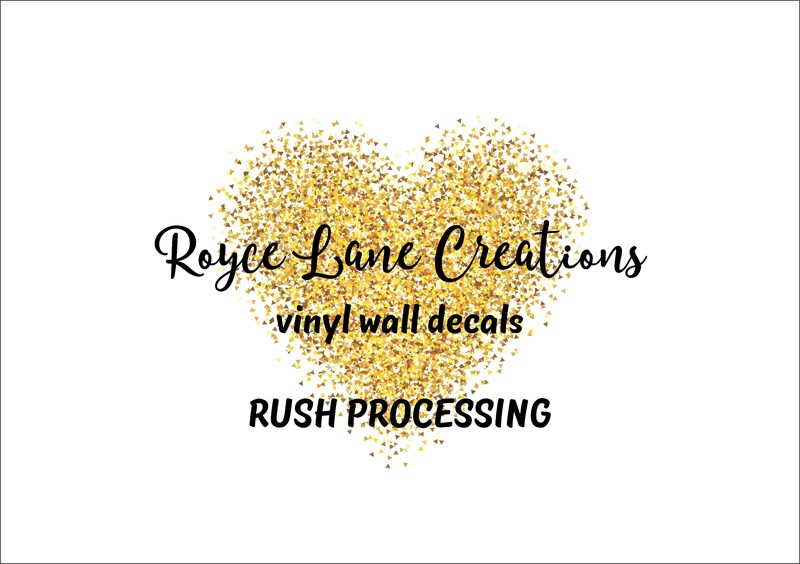 Please note that this is rush processing NOT rush shipping! If you need Priority Mail or Priority Mail Express shipping, that is available as an upgrade in the shopping cart at the time you place your decal order. Please select the shipping method that works best for you. Questions? Contact us, and we'll be happy to assist you.